As a newsletter subscriber, we'll send you 20+ in-depth and empowering articles with actionable tips that will help assist you on your journey with hemochromatosis. 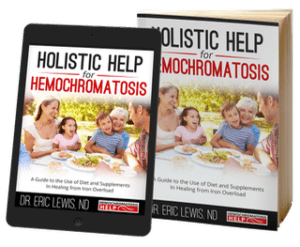 We'll also send you occasional emails about promotions, exclusive discounts, products uniquely available from Hemochromatosis Help, and other valuable resources to help you on your journey with iron overload. We respect your inbox - unsubscribe at any time. Stay tuned and look for emails from Hemochromatosis Help in your inbox!